In 2001 I was assigned to the 020 Precinct on the upper west side of Manhattan. I was part of the Anti-Crime Unit, working plain clothes in the precinct and was going to be eligible for transfer to an investigative unit in a few months to start working towards a promotion to Detective. One night in June of that year, during a foot pursuit I blew out 2 discs in my lower back. Spinal surgery followed, then rehab and physical therapy. Then the Towers fell. We all went back to work, and after a few months my back let go once again. Another more invasive spinal surgery, therapy and then rehab again, this time to get the use of my leg back so I could at least walk. After this surgery, the department retired me on a full disability pension. All it took was one misstep during a foot pursuit and any dreams I had once had about becoming a Detective for the NYPD went up in smoke. In one moment my job, my career, a large part of how I saw myself had vanished. Retiring so young is supposed to be a good thing, but in reality it is incredibly difficult. All the time you spent working are now empty hours to be somehow filled and I filled those hours with bad options. Before I retired work kept me out of the house for days on end. Now retired, I was underfoot all the time. Years of bad decisions and worse choices alienated the few friends I had outside the NYPD, eventually distancing me from my family, and ultimately destroyed my marriage. I wound up here in Lakeland, got myself a little apartment and tried to put things back on track, but had an incredibly hard time doing it. This was the very first time in my life I had lived alone, had no idea how to go about meeting people and fell into the cycle of feeling sorrier and sorrier for myself. Looking back, those months were without a doubt some of the darkest times I have ever lived through. Self pity, then self doubt, then finally self loathing. It was when I was pretty much at my lowest that I stumbled across the Elks Lodge and basically invited myself in. I was let in, allowed to play darts, and met a few people. I was invited back, and met more people. A couple, the Dassingers, took pity on me and showed me ropes of the Lodge, introducing me to key Members, all of whom I count as some of my best friends to this day. I was sponsored and joined within a month. Brian and Julie Dassinger kept extending their friendship towards me. Hearing that I was planning on spending that Thanksgiving alone, they insisted, VERY forcefully, that I join them for dinner. Again at Christmas they gave me a place to go and feel welcomed. From that moment on, I have always known I have a home in the Lodge. That is my story; how I found my way into the Elk family. How I was taken in and even though I stumbled and made mistakes, was taken back in with open arms and love. Some of you reading this have similar stories, some even darker and more bleak than mine. Others will stumble some time in the future and hopefully find that what I said here is the truth. Hopefully the majority of you will never have to go through those dark times to find the light at the end of the tunnel. So why, dear readers, am I dragging you along on my little journey of self realization? The reason is simple. It is because we are family and sometimes we need to be reminded of that. This person doesn’t like that one? This group won an election instead of that group? Dinner was late? Drink was made too slow? All things that seem important in the moment, but in the long view, all petty BS. We are a group of individuals who all that took the oath to join the Lodge and CHOSE to be family to one another. Family may break each others shoes from time to time, may dislike one another, but when things are dark; when you need one another, family is always there for you. Using myself as an example, were it not for the Dassingers going out of their way to be kind and inviting to me, I may not be an Elk at all. I may not have stayed in Florida and I certainly would not be the person I am today. Every person I was introduced to at the Lodge went our of their way to be nice, but it was that initial meeting of THAT couple that made me comfortable in the Lodge. Be that person to someone. When you see that new face sitting at the bar looking around and praying that someone will strike up a conversation with them, BE that person who says hello. Be that persons stepping stone into the wider Lodge. I can personally attest that the little attention I was given made a HUGE difference in how I felt at the Lodge, and in my life as a whole. If someone kind of drops off your personal radar and comes back, be that friend who welcomes them back with open arms and no expectations. Again, from personal experience I can tell you how hard it is to walk up to friends you have forsaken and ask to be let back in, and that there are few feeling better than being welcomed back. Way back in the day, when I was putting on my uniform, the plan for the shift was to leave work with the same number of holes in my body as there were when I started. We all have to learn to not sweat the small stuff. See the difference between what we THINK is a big deal at the moment and what really IS a big deal. We might not all like one another every minute of every day, but we all love one another. We have to. We’re family. Bartender, a Rock for me, with lime of course, and this time buy a round for the bar. It may not be 11 o’clock, but let’s all raise a drink to our absent member. Chuid eile i síocháin Rick, chuid eile i síocháin. The view from the corner. OK dear readers, last week’s blog was done a little early, just so I could say a fond farewell to our outgoing Officers and welcome in our NEW Officers. That being done, let’s see what this little blog will be all about. In other words, LET THE RAMBLING BEGIN! The other day I took a stroll around the Lodge, leaving my position at the corner of the bar, and happened to sit down out on the porch for little bit. One of our Members had brought her dog with her for a visit. This great big ball of furry happiness bouncing around the porch made me want to remind you all that if you have a little four legged canine friend, by all means, bring them in for a visit! Certified Service Animals are always welcome in the Lodge, but anyone can bring their tail wagging children for a visit on the porch. After visiting with our furry guest for a bit, I wandered back to the corner and have to say that we had a TON of make up dart games being made up. 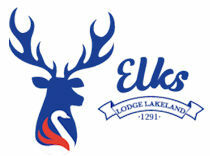 It was a beautiful Sunday and it made my heart happy to see so many Elks in the Lodge, playing darts, laughing and enjoying an adult beverage, and greedily chomping down on Sunday Burgers served up by Bill N. and John R. Great job boys! Speaking of darts, a subject near and dear to my heart, I highly recommend each and every one of you, my dear readers, to try your hand in our Dart League. We have three different divisions to accommodate pretty much any level of player. We throw on Thursday nights starting at 6:30, so please head on down and at least take a look. I can hear you all now, ‘But I don’t know how to play!’, or ‘Its been years since I played, I need some help!’. Well, my rabid little readers, your Lodge has you covered! Just this past Tuesday a new program kicked off at our Lodge; The Dart Clinic. ‘What is that?’, you ask. Well, hold your horses and let me explain! Each Tuesday night (other than Lodge Meeting Nights), we will have coaches available pulled from our Dart League to assist you in pretty much any level of tutoring. This past Tuesday we had total novices learn the rules and how to throw, right up to players leading the A League taking tips to improve their game. No sign up is needed, just show up with your darts and a few quarters and have some fun. I am sure that whomever it is that takes up the mantle of House Committee Chair will no doubt write articles for The Antlers looking for volunteers, something the Lodge is always in need of, I have to take a moment to let you all know that the Lodge is in need of a Shopper. This is one of those un-noticed positions that is truly critical to the daily routine of our Lodge. The Shopper buys, literally, every item of food that our Members cook for us. If you have free time, enjoy a challenge and are interested in being an integral part of our Lodge, please let our ER Rick Burton know. As long as I am asking for volunteers I want all of my readers to be aware of a new program that Gina Monaghan is starting. She is recruiting Elk Ambassadors, Members who would be willing to contact and mentor newly initiated Members into our Elk family. We all remember the first few times we entered the Lodge as brand new Members. This program will put a new Elk in contact with an existing Member who will ‘show them the ropes’ and make sure our new Members are shown all the great things our Lodge has to offer. I think this is a great idea and think it will make a huge difference to our new Members. If you are interested, look for Gina in the Lodge and talk to her about it. Besides, she’s a cutie I think, but I’m a little biased. Enough rambling for now. Time to head out to the porch to see if that cute dog is back. Bartender, a Rolling Rock if you please, and a slice of lime if you please. What in heaven’s name will this blog be about? Truth be told, I am not entirely certain myself. Will it be a place to look to see what is happening at the Lodge? Definitely. Will it be a place to hear what is being planned and MIGHT be upcoming? Probably. Will it be a place for me to drone on about what I notice from my perch at the corner of the bar? Possibly. I invite you, my dear readers, to jump onto the train as it pulls out of the station and take the ride with me and see just where it takes us. 2019 began, as I hope you all are aware, on January 1st of this year. Our Elk Year, however, runs from April to April, and as such, I had planned to start this journey with you once our new Elk Year had started. Had I done that, though, I would have missed the opportunity to thank the 2018-2019 Lodge 1291 Officers for the outstanding work that they have done for our Lodge over the past year. On March 31 2019, at our Lodge Installation Dinner, we will be bidding farewell to some officers, seeing others move from one position to another, and welcoming in fresh new faces. Leaving office will be Exalted Ruler Vicki Baker, (though she WILL be moving on to a lifelong position of PER! So much for retirement Vicki, enjoy that Orange Jacket! ), Loyal Knight Bob Lutz, Lodge Esquire John McArthur (why does that name sound so familiar? ), Tiler Joyce Zachary, Inner Guard Michelle Coffey, Secretary Gary Malone PER, and Treasurer Sandy Fuschetti. Rick Burton will be moving from Leading Knight to Exalted Ruler, John Mathison will be moving from Lecturing Knight to Leading Knight, and Jim Crosby PER will be moving from 1 Year Trustee to Lodge Treasurer. Incoming Officers are Charles Wolfe as our new Loyal Knight, Phillip Lawson as our new Lecturing Knight, Chris Porshe as our new Lodge Esquire, Michael Butler as our new Tiler, Rob Swann as our new Inner Guard, John McArthur (there is that name again!) as our Outer Guard, and Rick LIttlejohn as our new interim Secretary. All four of our Trustees will be moving up a year, and we welcome our new Five Year Trustee Jim Mosier. Not to be forgotten, Sandy Bates will be continuing to save our souls as Lodge Chaplain. Please join with me in thanking our outgoing officers for their work over the past year, and offering our condolences, no, not that, welcoming, yes, WELCOMING our new officers. Now, dear readers, I would be remiss in not addressing the elephant in the room. This past election cycle was, shall we say, cantankerous. Members took to their feet and expressed opinions. Other Members offered differing opinions. Discussions were civil but emotions ran high. Ultimately, votes were cast and tallied, results were announced. Some Members walked away feeling victorious, others felt disappointment. The end result was that our Members used their right of franchise to make their voices heard. I hope each and every one of you will join me in putting aside any personal feeling regarding the election and give our new officers our full and unwavering support. Holding Office within the Lodge is, I think, one of the most selfless things an Elk can strive for. It takes a very special kind of person (and a certain amount of craziness) to want to serve. The responsibilities are great; the rewards few. Please, when you run across a past officer in the Lodge, thank them for the service they gave to our Lodge, and when you see a current officer, thank them for the services they are currently giving. Trust me, a little acknowledgement goes a LONG way. Well, that is the view from the end of the bar for now. Bartender, a Rolling Rock please, and don’t forget the slice of lime. https://lakelandelks1291.com/wp-content/uploads/2018/12/210x156.jpg 0 0 Tony Bonacum https://lakelandelks1291.com/wp-content/uploads/2018/12/210x156.jpg Tony Bonacum2019-03-15 16:06:562019-03-27 14:40:02The New Blog, "From the Corner"